Whether you are visiting us for a brief time, looking for a new parish community, are returning to the practice of your Catholic faith, or are interested in finding out more about the Eastern Catholic Church, we’re happy to have you here. 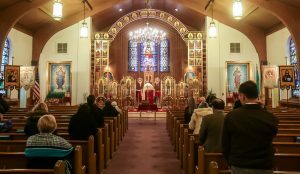 St. Michael’s is a faith-filled people of the Ukrainian Catholic tradition. We strive to make the Divine Liturgy the heartbeat of our faith community and we stand ready to bear witness to the Lord with our life. Saint Michael’s is a parish rooted in Jesus Christ, active in our love of neighbor, on the path toward salvation in the Holy Trinity. Melanie Horn Struk, 94, of North Haven, passed away peacefully on Monday, April 15, 2019. She was a longtime member of St. Michael the Archangel Ukrainian Catholic Church. Our condolences go to Peter and Victoria Struk as we also pray for her husband Peter and daughter Anna who predeceased Melanie. A funeral service will be conducted in the North Haven Funeral Home, 36 Washington Avenue on Thursday morning at 10:30. Melanie’s full obituary may be read here. May Melanie’s memory be eternal. Note: There is no fasting this week. Bright vestments are worn throughout the Pentecostal season. The Holy Doors as well as the side doors of the Iconostasis are left open throughout Bright Week. Note: The doors of the iconostas are closed, following the morning Divine Liturgy. After the Ambo Prayer, the Artos is removed from the tetrapod and the Prayer at the Breaking of the Artos is said (cf. Trebnyk or Molytvoslov). It is distributed to the faithful on Thomas Sunday, instead of antidoron. This week vigil light is offered to God’s great glory by Margaret and Stuart Maybury in memory of +Vera Walnycky. Asleep in the Lord: Melanie Struk fell asleep in the Lord. Please remember her in your prayers. Eternal Memory! The traditional Easter parish “SVIACHENE” will be held on May 5, following the Divine Liturgy. We will celebrate only One Divine Liturgy at 10:30 a.m. We will be running a raffle. If you would like to donate any items to be raffled, please bring them to our church hall on Sundays before our “Sviachene” or on Sunday, May 5. Tickets are $25.00 for adults, $10.00 for youth from 12 to 18. Free for altar boys, and under 12. Also we ask you to donate cakes for desert. We trust that all parishioners will join this parish gathering and through their presence attest to cherishing in our hearts a love for one another which builds our PARISH FAMILY. Helping the poor – a work of charity: The Director of the St. Vincent DePaul Homeless Shelter in Waterbury wrote to us requesting assistance in collecting bath soap, tooth brushes, tooth paste, deodorant, Q-tips, men’s underwear, for the ministry to the homeless. We will have this collection for the poor through Pentecost (June 9). 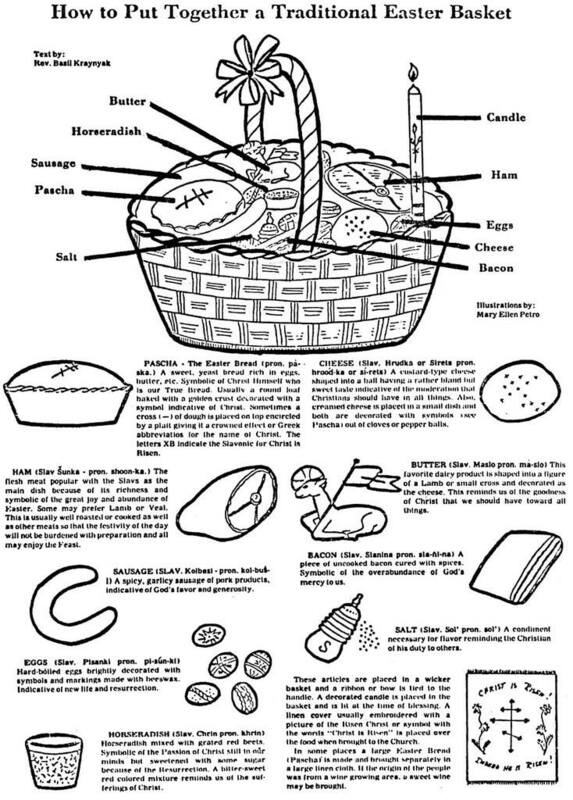 These items can be put in the basket at the entrance of the church in the marked box. Paul Zalonski (of our parish) will drive the donations to the Homeless Shelter in Waterbury. The Knights of Columbus Have available for sale a freshly cooked batch of 2 quarter pound of tasty recipe kovbasa and cabbage meals for $10.00 each or a 2lb. vegetable only mix for just $6.00. These meals may be purchased in the church hall, please see Walter Ushchak. The organizational meeting of the newly formed Facilities Maintenance Team of St. Michael’s Ukrainian Catholic Church took place on Friday evening, January 18. The schedule of work sessions was also established for the entire year so that plans can be developed for doing all the projects and arrangements made for the purchase of required supplies and equipment. The usual time frame for the work sessions will run from 6:30 to about 9:30 p.m.. There will be occasions when it is necessary to work later than 9:30 to complete some of the projects.All parishioners who would like to become part of the team should leave your contact information with Fr. Iura after the Divine Liturgy. Forms for providing your contact information can be found in the vestibule of the church. 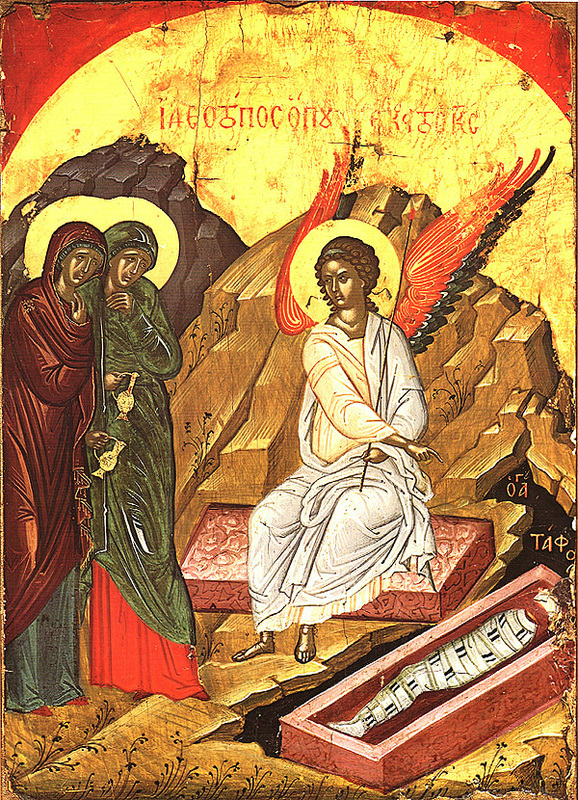 Great and Holy Saturday is the day on which Christ reposed in the tomb. We sing that Christ is “. . . trampling down death by death” in the troparion of Easter. This phrase gives great meaning to Holy Saturday. 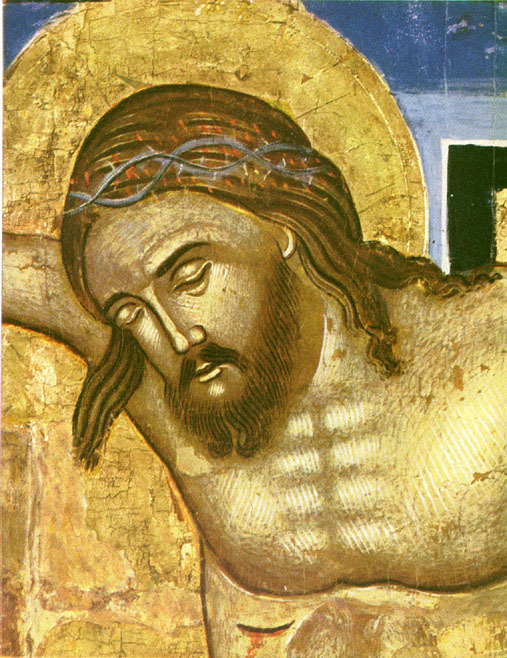 Christ’s repose in the tomb is an “active” repose. He comes in search of His fallen friend, Adam, who represents all men. Not finding him on earth, He descends to the realm of death, known as Hades in the Old Testament. There He finds him and brings him life once again. This is the victory: the dead are given life. The tomb is no longer a forsaken, lifeless place. By His death Christ tramples down death. Our faith is a faith of paradox. Today the crowd choose Barabbas instead of Jesus. Yet the name Barabbas means “Son of the Father.” The crowd does not choose Jesus, the true Son of the Father. Barabbas, the gospel tells us, was an insurrectionist, a political creature. The kingdom of Jesus is spiritual, and people cannot discern it, they cannot see the true Son of the Father. The mob cries out, “His blood be upon us and upon our children!” Asking for a curse? God has made it a blessing, for he poured out his blood upon us, we have been redeemed by the blood of the Lamb, and are redeemed every day anew by the Blood of Christ, in whom we achieve Communion, for forgiveness and life. What was meant as a curse God has made an infinite blessing. 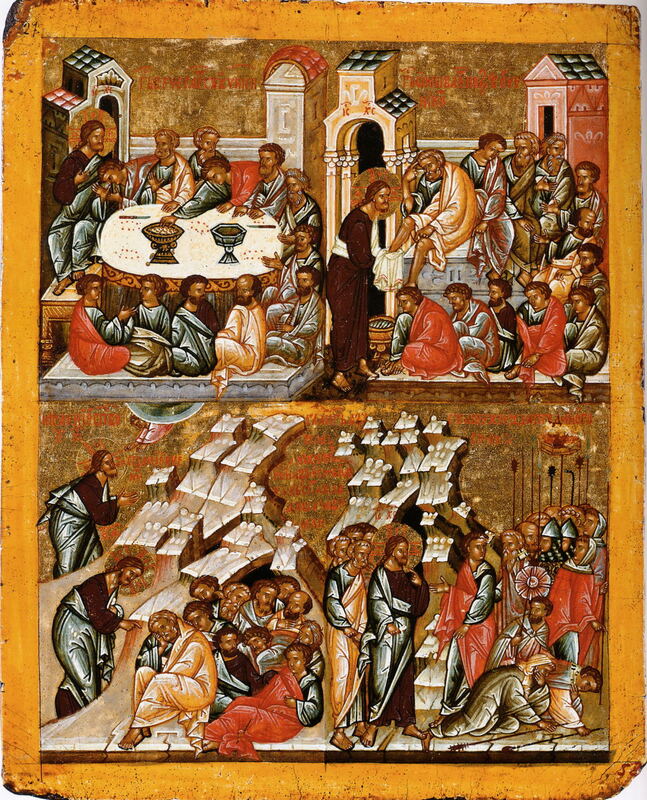 The priestly blessing of Easter foods is a venerable and beautiful tradition of the Kievan Church (not seen often among the Greeks and Melkites). The Polish and other Eastern Europeans bring their Easter foods to church to be blessed. Sadly, too often the Slavs will bring their foods to church for the blessing but completely ignore the liturgical services of Great Week. This is a disconnect. The worship of God (Father, Son, and Holy Spirit) is paramount. The importance of having our foods blessed signals the end of the Great Fast and the arrival of joy with the celebration of our Lord and Saviors Holy Resurrection. and AFTER the 10:30 a.m. Easter Liturgy. ****Pyrohy will be available for sale on Holy Saturday made on April 13 for $7. per dozen. Today we celebrate three mysteries of the church. The Mystery of Holy Oil for Anointing the Sick. The Eastern Church has a much broader interpretation of the sick. Ordinarily, those who are suffering the crisis of physical illness receive to anointing to strengthen their whole being – body and soul – by renewing our faith in Christ the Messiah – the Anointed One. When we were baptized we received a holy anointing as a part of our Christian decision to reject evil and commit ourselves wholly to Christ. When the sick were anointed, not only the sick person him/herself but those who were to give care and those present were also anointed, a sign of our solidarity in fighting illness through faith. 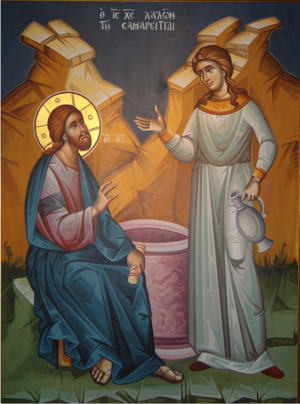 Perhaps the Holy Anointing of the whole congregation on Holy Thursday is because of the epistle for this day: “Therefore whoever eats the bread or drinks the cup of the Lord unworthily will have to answer for the body and blood of the Lord. A person should examine himself, and so eat the bread and drink the cup. For anyone who eats and drinks without discerning the body, eats and drinks judgment on himself. That is why many among you are ill and infirm, and a considerable number are dying” (1 Corinthians 11:27-30). The anointing is a response to our unworthiness to receive Communion. We now repeat this every time we receive the mysteries of our Lord’s Body and Blood.